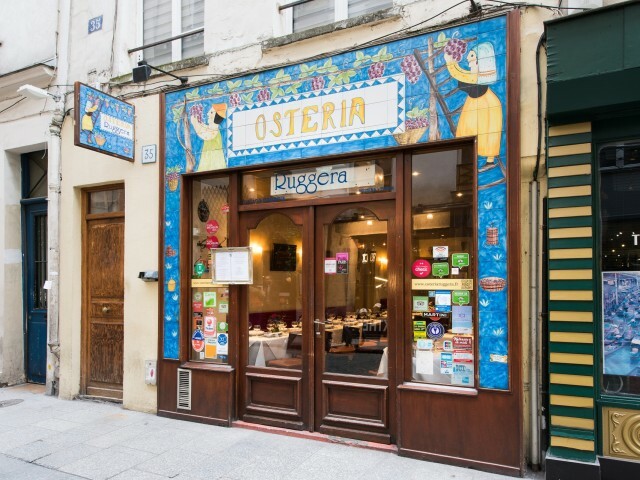 In a family setting in the heart of Paris in the famous Montorgueil, Osteria Ruggera offers typical dishes of Italy prepared with care and passion. You can taste the specialties of Osteria Ruggera not only, but also the typical Mediterranean cuisine, excellent and suitable for the most demanding palates. Moreover highly qualified personnel will accompany you through this journey in the special flavors of Italy. The wine cellar well stocked with Italian wines and homemade desserts complement your menu card.